The Life of Christ reviews New Testament history, disclosing the broadening and deepening of that purpose for us men and for mankind in our Lord and Saviour Jesus Christ. 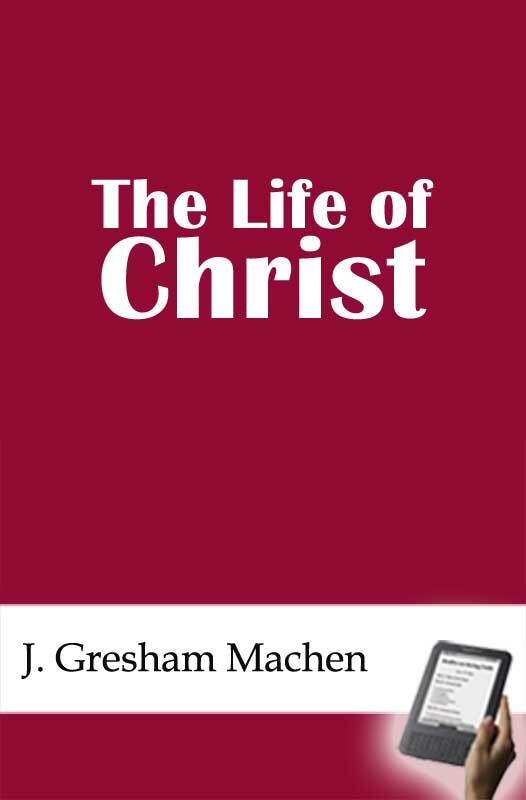 About the author: John Gresham Machen, D. D. (1881-1937), was an American Presbyterian scholar and apologist. Born in Baltimore, he was educated at Johns Hopkins, Princeton University and Theological Seminary, Marburg, and Gottingen. He was ordained in 1914. He taught NT at Princeton Seminary from 1906 to 1929, apart from a brief period of YMCA service in France. As a defender of the classic Reformed position, he was influenced by his teacher B.B. Warfield. When Warfield died in 1921, the mantle of leadership for the "Princeton Theology" fell upon Machen. He resigned in 1929 due to the Liberal realignment of the seminary. Machen was a principal founder of Westminster Theological Seminary (1929) and what is now the Orthodox Presbyterian Church (1936). He served as president and professor of NT at Westminster Theological Seminary in Philadelphia, PA from 1929 to 1937. Machen is regarded by friend and foe as a leading conservative apologist in the modernist-fundamentalist era.